This spring, the Gulf of California’s shores near the mouth of the Colorado River were littered with dead bodies. They weren’t casualties of the drug trade; instead, they were victims of another international market -- the Asian desire for wildlife. Chinese demand for the swim bladders of the giant totoaba fish, thought to aid fertility, inspired the poaching of hundreds of the rare fish. The single organ was removed, the carcasses left to rot. The totoaba, which can reach six feet long and weigh more than 200 pounds, has been protected since the ‘70s by both the Mexican and U.S. governments. But with one totoaba bladder bringing more than $10,000 on the Asian market, there's major incentive to catch the fish illegally. Poachers turned to totoaba after a similar species of fish in China was eaten nearly to extinction, says Jill Birchell, a special agent for the U.S. Fish and Wildlife Service; a sad irony. China has become the world's largest market for wildlife products, and as its native animals vanish, Chinese consumers seek substitutes. This means that in this country, animals that have historically faced little pressure from hunters suddenly become targets. "This kind of large-scale trade and consumption of wildlife has never been part of Chinese tradition or culture," writes the Asia Regional Director of the International Fund for Animal Welfare China, Grace Ge Gabriel. "It is the disastrous and abnormal consequences of today’s highly-industrialized chain of wildlife poaching, smuggling, transportation, and trade." In California, trappers killed 1,500 bobcats last year, an increase of 50 percent over the previous year. Most pelts were shipped to China, where a single skin sells for $700 or more. The state's commercial abalone fishery was shut down in 1997, but illegal capture of the shellfish is rampant; a single abalone brings $100 to $150 on the Chinese market. Ninety-five percent of geoducks, long-necked clams found off the coast of Washington, now end up in China, where they're worth up to $150 per pound. And manta rays have nearly vanished from the Sea of Cortez, killed for the parts of their gills called rakers, which are prized as ingredients in a Chinese health tonic. Now that China's wild bears have been wiped out, black bears in the West are sought for their gallbladders and paws. It is true that some 10,000 bears are "farmed" in China – kept alive in cages to keep producing bile – but many consumers prefer wild-sourced bear parts. In Alaska and Canada, polar bears are hunted for hides; Chinese collectors will pay $5,000 for a pelt. This huge spike in demand reflects increasing Chinese affluence. As the nation’s middle class expands, so does its desire for "status" goods: fur coats, exotic meats and fish, ivory carvings, and so on. "Many people in the upper middle class want to emulate the wealthiest Chinese," says Quentin Fong of the University of Alaska Sea Grant Marine Advisory Program. Traditional Chinese medicine, which uses plants and animal parts to treat illness and enhance sexual performance, is also a major source of demand. Although its ingredients are often ineffective as well as illegal, traditional medicine continues to gain popularity. We've seen this pattern before in the American West. Bison, beaver, the Lahontan cutthroat trout, all disappeared into the maw of a nation hungry for meat and fur. And while China currently leads the way, the United States is thought to be the world's second-largest market for wildlife products. Demand for wildlife parts in China, however, is on a much larger scale. Although all of Asia is involved in the wildlife trade, China's sheer size alone puts it at the heart of the problem – with 1.3 billion people and an economic growth rate of around 9 percent – all of this compounded by a government that has largely refused to crack down on wildlife trafficking. Here at home, we also lack the resources to protect dwindling wildlife populations from local poachers, let alone from the growing demands of a global marketplace. Some attempts are being made to stanch the flow; a bill introduced in the California Legislature this spring seeks to ban commercial bobcat trapping. But game wardens are few and far between, and tackling international poaching and smuggling rings can require years of coordinated efforts among many agencies. It’s not that different from the drug war: The real key lies in reducing demand. But controlling China's appetite for wild animals will take hard work on many fronts, including stronger laws, better enforcement, and most importantly, education, to discourage the use of animals for status symbols or for ersatz medicine. As Fong says, "Chinese people are concerned about sustainability and the environment, but that has not yet transmitted to behavior change.” Meanwhile, each time one species of Western wildlife disappears, pressure ratchets up on those remaining, and time is running out for all of them. 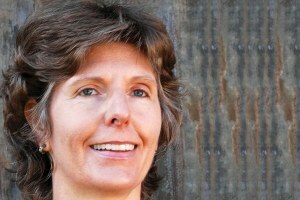 Jodi Peterson is a contributor to Writers on the Range, a service of High Country News (hcn.org). She is the magazine’s managing editor in Paonia, Colorado.